HomeHave You Tried A Mandala Coloring Book? 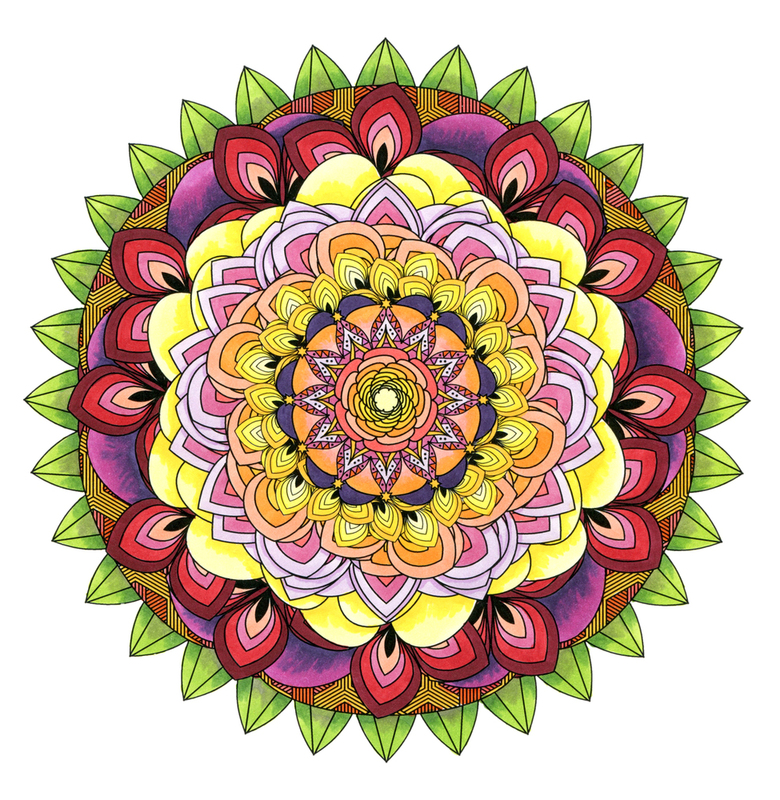 Have You Tried A Mandala Coloring Book? Do you like to color? I loved it when I was a child, and loved it again when my children were young. Recently, I have rediscovered it. OK – go ahead and laugh, but it is very relaxing and even a “cool” thing to do nowadays. Well, maybe not cool, but acceptable, in the context of meditation and relaxation. A recent walk through Barnes and Noble last weekend revealed a full table (in prime real estate!) filled with adult coloring books, most of them Mandala coloring books. I couldn’t resist. I bought one, and the fancy colored pencil set displayed right next to it too. According to mandalaproject.org, “the word ‘mandala’ is from the classical Indian language of Sanskrit. Loosely translated to mean ‘circle,’ a mandala is far more than a simple shape. It represents wholeness, and can be seen as a model for the organizational structure of life itself.” A mandala typically appears as a concentric series of geometric shapes. All the ones I have seen are perfectly symmetrical. I find many mandalas to be quite beautiful and the symmetry relaxes me. Coloring them is a sure way to slow my breathing and quiet my thoughts. It is also a fun activity to do with someone else. You can chat casually while coloring and show off your beautiful designs to one another. Even my children, who are resistant to meditation, were very interested in coloring mandalas. 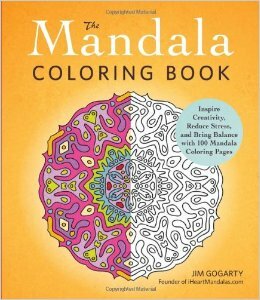 Here is the book that I bought: The Mandala Coloring Book by Jim Gogarty, the founder of iHearMandalas.com. According to the book, the colors you use tell you about your current mood and emotions. For example, red indicates passion, power and danger, while blue is associated with loyalty, wisdom and truth. Yellow represents energy and joy, and orange demonstrates enthusiasm and happiness. Most of the colors have positive attributions, although black is said to indicate evil, death or mystery. Good thing my colored pencil set stuck to the colors of the rainbow in their various incarnations. How you color can also teach you something about yourself. Again according to the book, if you start coloring from the outside in, you are engaged in self-exploration, while if you start from the inside and color out, you are looking to feel more connected to the world around you. I always seem to start from the inside out. If you have a spare moment, grab a mandala and see how you like coloring it. You can print out many for free on the Internet before committing to the purchase of a book. Enjoy and let me know how you like it. Readers, do you find coloring a good way to relieve stress? You can also find Hot Off The Mat on Facebook and Twitter! ← What Is Your Favorite Bikram Yoga Posture?